Ms. Kaplan advises clients on an array of privacy and data security matters involving the collection, use, storage, and monetization of data. She works with clients to create meaningful and sustainable privacy and data security programs and policies, respond to data breaches and regulatory inquiries, conduct privacy due diligence, and overcome compliance hurdles presented by the European General Data Protection Regulation (GDPR). Prior to joining Frankfurt Kurnit, Ms. Kaplan was outside counsel for Universal Music Group and an associate at Sittler Law Group and Jay Kaplan & Associates. Her practice has included complex federal and state court trials related to copyright infringement, breach of contract, misrepresentation, and fraud. 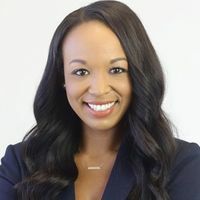 She has represented film financiers, producers, foreign sales agents, professional athletes, and trademark owners, during transactions and throughout litigation. Ms. Kaplan is admitted to practice law in California and the U.S. District Court, Central District of California.